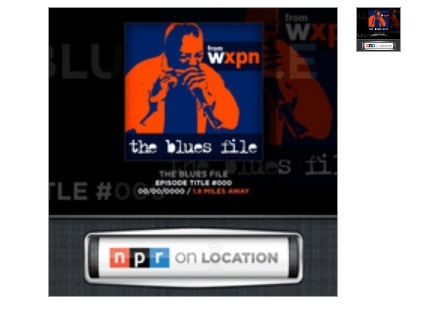 I received an email from a developer called Jim wanting to show off QML with an App he built called Public Radio on Location. It’s free at the Ovi Store. I wish I had WiFi or a decent 3G connection (T-Mobile is the absolute suckiest network to be on in Manchester; to call T-Mobile dreadful would be complementary) to test it out, but alas no. Hopefully this won’t be a problem from July onwards when my accommodation actually has WiFi again. I’m a Nokia Champ developer, and we purposely chose the new S^3 devices – especially the N8 – to bring out a really beautiful blend of visual, mapping and sound. It’s up for the Calling All Innovators competition, and would mean a lot to me if you downloaded and tried it out. It works world-wide, and basically sees where you are (it starts be default in San Francisco until it picks up your location signal so don’t freak). Then you roll the dial at the bottom to one of ten interest types – Drama, Stories, Music, Humanity, etc. – and it will search for stories or subjects that deal with the area where you are ,and cue them up for streaming. The roller can be a little stubborn; we’re working on that but can’t change it during this contest. So it’s sort of like BBC in a time machine, in a sense, accept it’s American accents 😛 and different stories. Lot of music/culture stories in England. We’re loading new content all the time, but I know there’s a lot in London and we’ll get more North as we go. You can flick the stories back or ahead, get a mini-map view (will throw over to Ovi Maps in future releases). It’s just a great experience and great content. Or so I think. Make sure you have an internet connection – it’s all networked. Somebody with an N8 gave it thumbs down for “crashing” but all i can think is they didn’t have an internet connection, otherwise you’d at least get San Francisco. So, there it is. See what you think. It sounds really promising! I really want to try it (I HATE YOU T-MOBILE!). What do you think? Any video demoes anywhere?